This page features scheduled and on-demand emergency preparedness and response training resources offered by CDC, other federal agencies, and COCA partners. 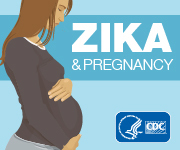 Zika Training for Healthcare Providers. The goal of this course is to introduce participants to the fundamentals of health literacy and demonstrate the importance of health literacy within public health practice. This course will challenge you to think about the significance of health literacy in the work you do as a public health professional. The course also provides practical steps to apply the principles and strategies of health literacy in your daily activities. Quick-Learn Lessons provide public health-related learning products and activities that take 20 minutes or less to complete. Products are also accessible from mobile devices so users can learn on the go. CDC provides funding for 14 PERLCs across the United States. PERLCs provide training to state, local, and tribal public health authorities within self-defined service areas and meet partners’ workforce development needs in the area of public health preparedness and response and specialized training, education, and consultation. CDC offers on-demand training, travel resources, and video presentations for clinicians. ASPR Technical Resources, Assistance Center, and Information Exchange (TRACIE) was created to meet the information and technical assistance needs of regional ASPR staff, healthcare coalitions, healthcare entities, healthcare providers, emergency managers, public health practitioners, and others working in disaster medicine, healthcare system preparedness, and public health emergency preparedness. Emergency Management Institute is the emergency management community’s flagship training institution and provides training to federal, state, local, tribal, volunteer, public, and private-sector officials to strengthen emergency management core competencies for professional, career-long training. The Emergency Management Institute offers self-paced courses designed for people who have emergency management responsibilities and the general public. All are offered free-of-charge to U.S. citizens. Scheduled classroom and simulation courses are offered on a rotating basis. Emergency training is targeted for participants of varied disciplines and varied levels of responsibility in FEMA’s Center for Domestic Preparedness. All-hazards preparedness training for state, local, or tribal government emergency responders is fully funded, including travel, meals, and lodging, by the U.S. Department of Homeland Security. HHS Response and Recovery Resources Compendium Project is an easy to navigate, comprehensive web-based repository of HHS resources and capabilities available to Federal, State, local, territorial and tribal stakeholders before, during, and after public health and medical incidents. The resources in this repository may also be useful for public health and medical emergency management officials. Each topic contains a list of the major HHS capabilities, products and services that support that function, a brief description of each and information on accessing them. NCDMPH leads national efforts to develop and propagate core curricula, education, training, and research in all-hazards disaster health. First responders enrolled in NTP’s online courses can earn continuing education units from St. Petersburg College. First responders can access online courses via the ANGEL system. A user account is required as well as verification that the course participant works for a first responder agency. MRC volunteers train through coursework, drills, and exercises. Continuing education credits are available for some programs. MRC volunteers include medical and public health professionals such as physicians, nurses, pharmacists, dentists, veterinarians, and epidemiologists. Many community members – interpreters, chaplains, office workers, legal advisors, and others – can fill key support positions. NNEPI is a highly-interactive, Web-based course that provides emergency preparedness training for nurses working in hospitals/acute care, schools, public health, ambulatory care, hospice/palliative care, long-term care, occupational health, and home health settings. This training focuses on providing opportunities for dynamic and interactive application of both theory and practice through scenario-based learning. The purpose of this online library is to provide a single, easy-to-search source in which individuals, agencies, and organizations can access Just In Time disaster training materials. The materials found in this library cover disaster-related preparedness, response, and recovery training for a wide variety of areas. This online lesson provides steps on responding to an unaccompanied child at a disaster scene. After thoroughly reviewing the lesson’s core material, learners will then solve three case studies. The lesson also contains a downloadable reference card that the learner can use during an all-hazards event. The National Center for Disaster Medicine and Public Health (NCDMPH) designed this learning object for a wide range of health workers and is currently working on their next learning object, which focuses on radiation exposure in children. The tracking and reunification lesson is available at the NCDMPH. A database of links to disaster medicine and public health documents available on the Internet at no cost. ACEP and CDC offers resources that may help local or state health officials prepare for, respond to, and mitigate the health effects of bombings and other mass casualty events. They also have information for health professionals about treating injuries and stress in patients affected by mass casualty events. DISCLAIMER: Links to non-federal organizations found at this site are provided solely as a service to our users. These links do not constitute an endorsement of these organizations or their programs by CDC or the federal government, and none should be inferred. The CDC is not responsible for the content of the individual organization Web pages found at these links.